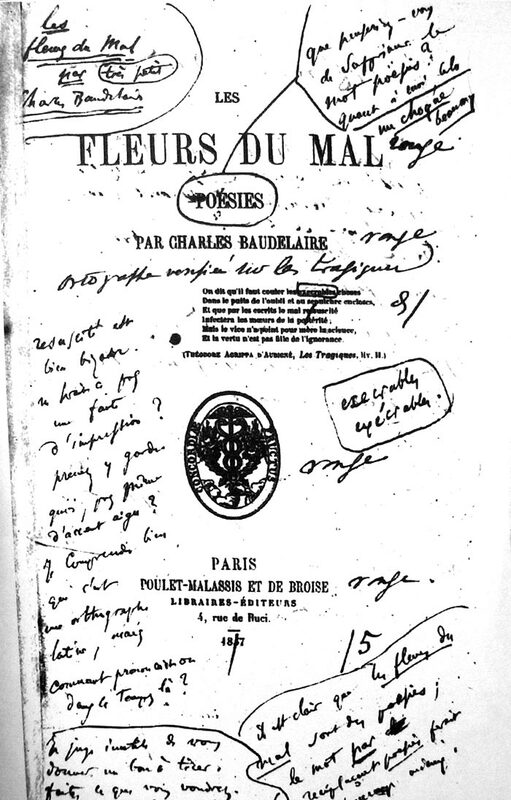 This is an online version of the famous volume of poetry "Les Fleurs du mal" by Charles Baudelaire with original illustrations by Ada Sverdlin. Each page contains the illustration on the left and the french, as well as several versions of the English (cycle through using the button or the shift+right button shortcut). Navigate using the mouse by clicking the page corners , peeling the pages (drag and drop) or by the keyboard left and right keys. Poems: Charles Baudelaire - Fleurs Du Mal and Translations.